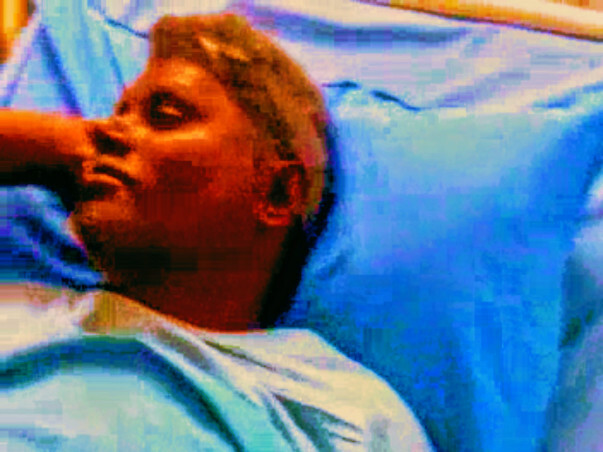 He has been admitted at 26-Mar-2018 at NIMHANS, BANGALORE, and diagnosed as right Vertebral Artery Dissecting Aneursym . Which is a very rarest case , for which he has been moved to three various hospitals and couldn't afford any treatment at their permises. 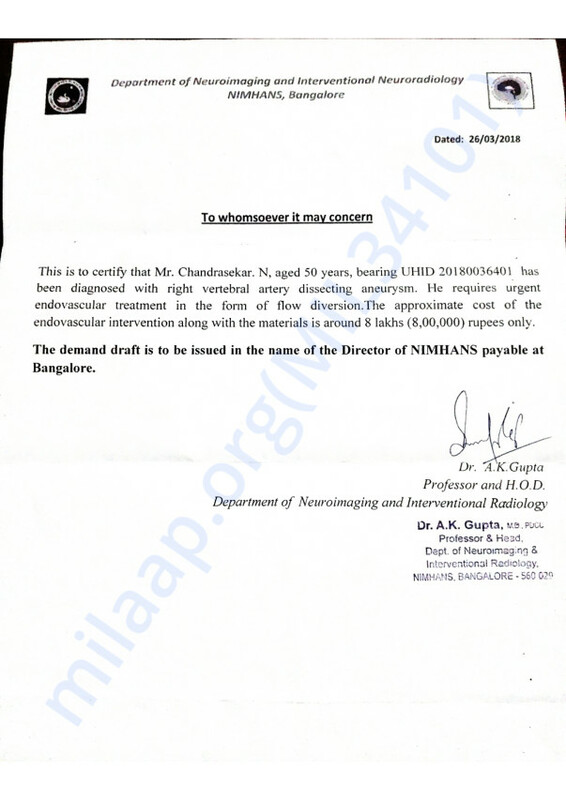 Finally NIMHANS Bangalore has confirmed to operate with endovascular treatment in the form of flow diversion ,which is stated around 8 lakh rupees . Since he is poor daily wages farmer he cant end up with this huge cost. 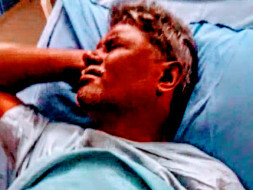 Chandrasekar has been advised to get operated with an stent costing around 3.5 Lakhs, since he cannot afford the suggested operation costing 8 Lakhs. He has sold all his farm land to raise this money . Still requires some more 50 k, which he cannot filup. Need more support. Thanks for the support till now.